The second TransQST General Assembly meeting was held in Sanofi premises in Chilly Mazarin (Paris, France). The consortium members had the opportunity to meet for the first time after the early review that took place in June 2018 and discuss the so-far progress. 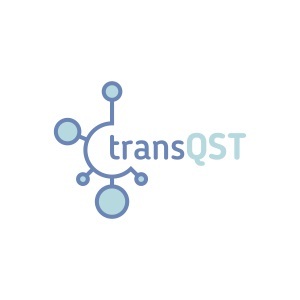 The TransQST project is gathering together existing data and will generate new data under the project goals to support the development of tools that should make it easier to assess the safety profile of drug candidates before undergoing clinical testing phase. During the first day parallel sessions of Organ WPs with representatives from WP3 (data) and WP4 (modelling) were organised. On the second day the consortium met at the plenary session for the WP updates round and discussion on project next steps. The experimental studies already started, and the first data have been shown. The TransQST Scientific Advisory member Dr. Adriano M. Henney (Avicenna Alliance for Predictive Medicine) attended the meeting on both days. His was able to learn about TransQST progress by attending the sessions and discussing with the key drivers of the project. At the end of the meeting he gave certain recommendations which were highly appreciated and will be valuable for the project progress and dissemination of TransQST approaches and achievements. The TrasnQST project has an initial budget of €17M distributed across 22 partner (9 pharmaceutical companies, 3 Small and Medium-sized enterprises (SMEs) and 10 academic institutions), sponsored by the European Commission and the European pharmaceutical industry (via EFPIA) under the auspices of the Innovative Medicines Initiative Joint Undertaking (IMI JU).